So many times I’ve past this place without thinking twice about dining here. I have been dumb. 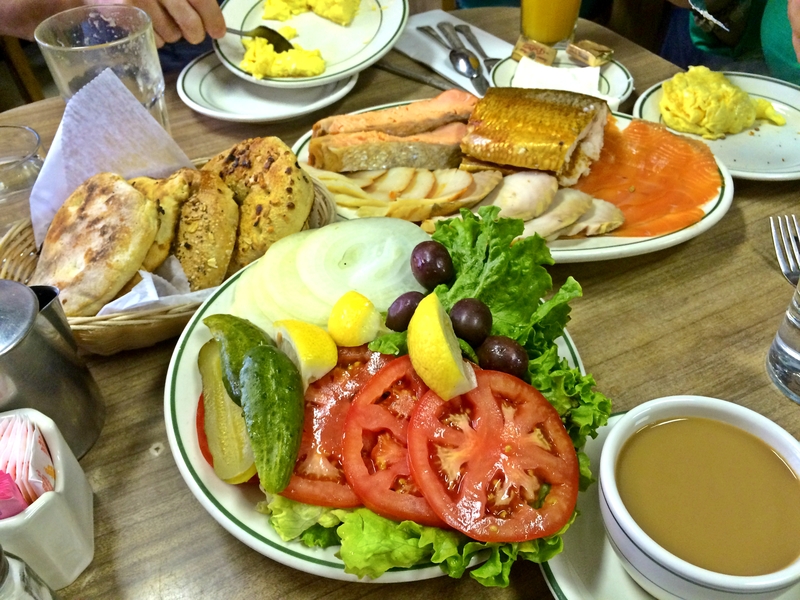 I should have known that this over 100 year old establishment would serve delicious and authentic Jewish breakfast items and incredibly fresh, tasty smoked fishes! Yes, the ambiance feels very dated. Lots of beige. But it certainly has a particular charm and character that makes this place unique! The decor is very throwback and vintagey. Sure people might be like ‘why hasn’t the decor changed in a million decades?’ but I think it adds to the dining experience. Not to mention the smoked fish platters are on point. Cream cheese + smoked fish + freshly toasted bagels = perfection. Fantastic brunch!!! 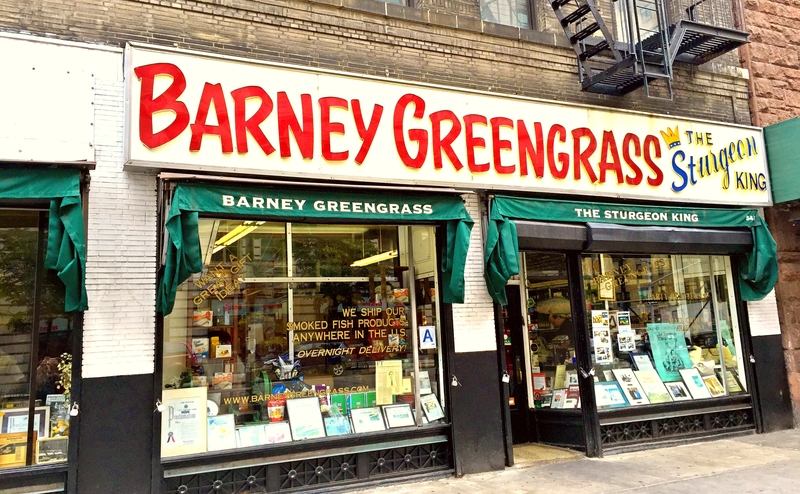 The menu is ginormous and filled with tons of different smoked fishes and Jewish delicatessen specialties- like matzo ball soup, latkes and triple-decker sandwiches packed with meats like pastrami and corned beef. 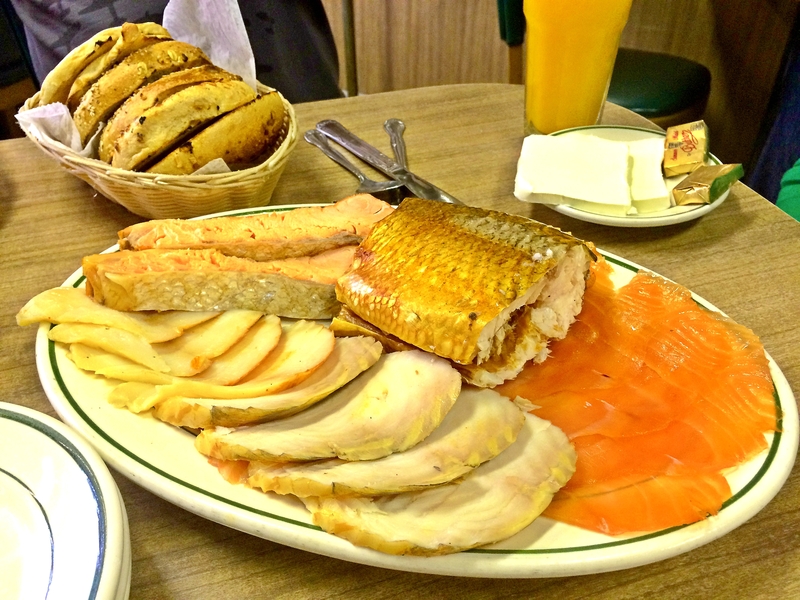 With Barney Greengrass being the “Sturgeon King” and all, we ordered the Deluxe Platter for 2: Sturgeon, Nova Scotia Salmon, Kippered Salmon, Sable and Whitefish. It was all so so so good. Like did they hunt and smoke this fish on the premises? This very morning? The sturgeon- described on their website as- “The filet mignon of fish,” is exceptional. The kippered salmon was buttery soft. The lox was rich and had just the right amount of that smokey-salty flavor I love to combine with cream cheese on my bagels! The sable had a fantastic taste too. According to their site, the fish is smoked then “invigorated with a touch of garlic and a sprinkle of paprika.” Noms. The whitefish was also yummy! 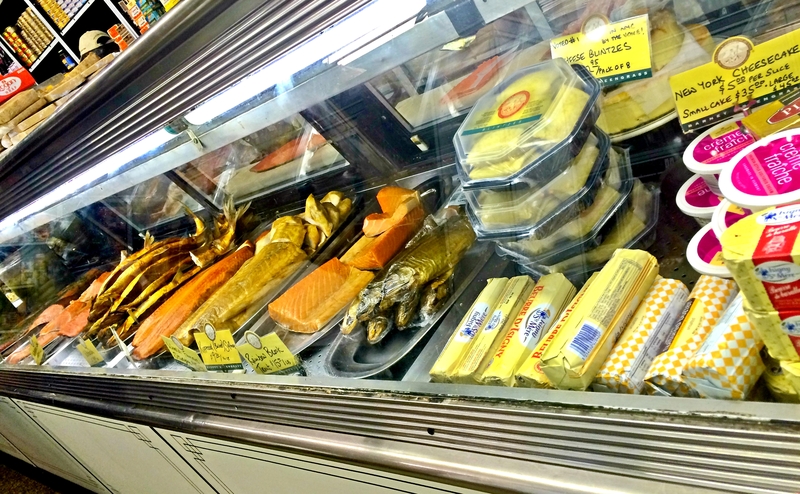 None of the smoked fish was “fishy” at all. And in combination with the onions, tomatoes, fresh cream cheese and warm toasted bagels and bialys- it was heaven. And pickles? And olives? Nomsss. We also ordered some fluffy scrambled eggs on the side. Perfection. Not to mention the coffee is bottomless (yesss) and the oj is freshly squeezed! We also ordered a delicious order of cheese blintzes to top of our savory meal 🙂 I loved the cute little jam jar they served it with. Bonne Maman preserves are my favorite of all preserves. 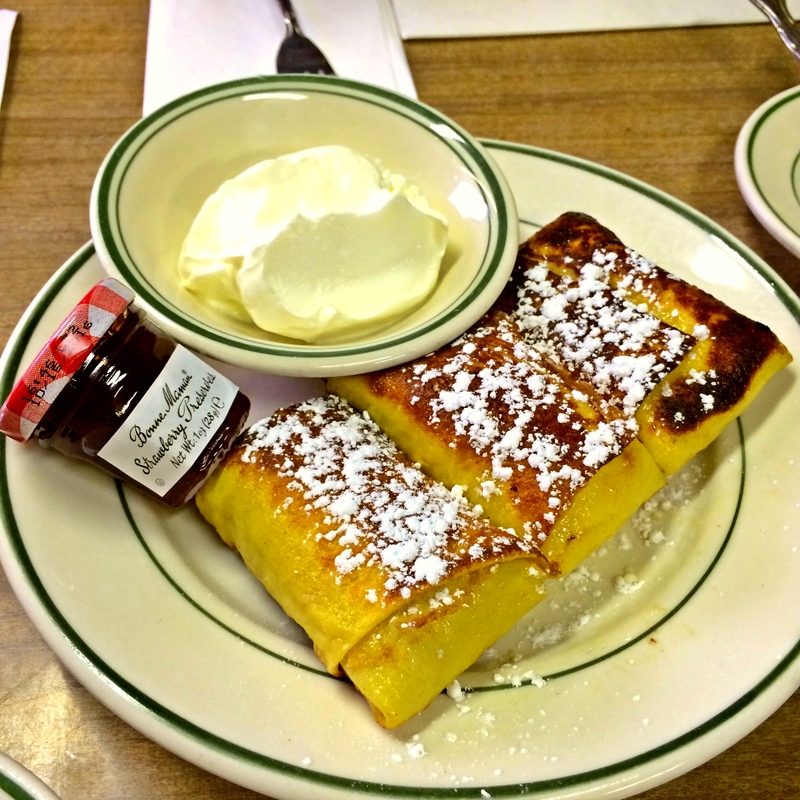 I love these little sweet, cheese filled crepes!